Success with the burbot lines! After putting out setlines for burbot yesterday (my first time trying, except through the ice) I checked the lines today and found three small burbot. I made several adjustments to make some of the lines longer and place them better in relation to the current. I'm excited to see what tomorrow brings! 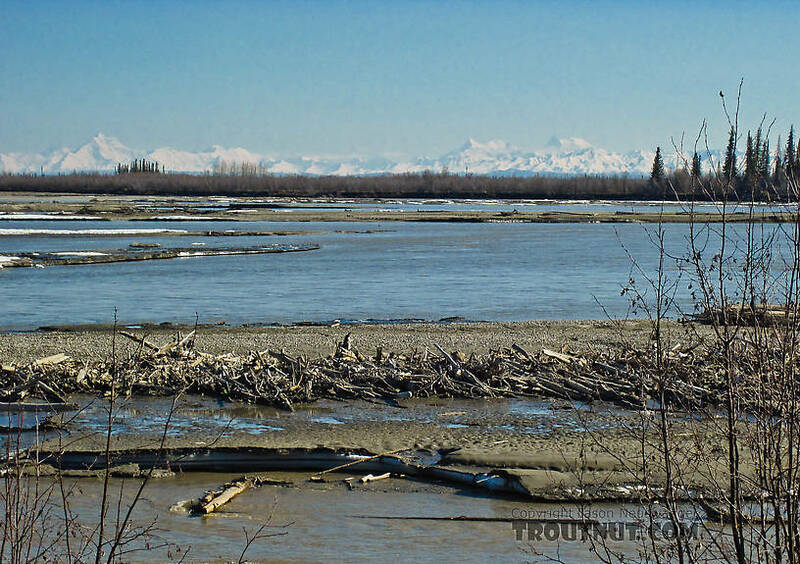 The Tanana offers several nice views of the high peaks of the Alaska Range. Small burbot, but tasty! If you think in units of brook trout, even the smallest burbot is a lot of dinner. 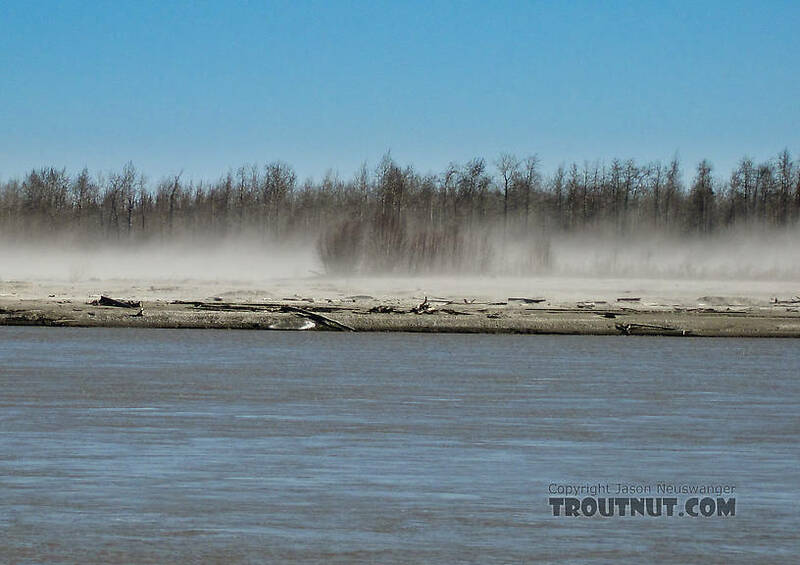 These dust storms are a common sight on the Tanana whenever it hasn't rained for several days. 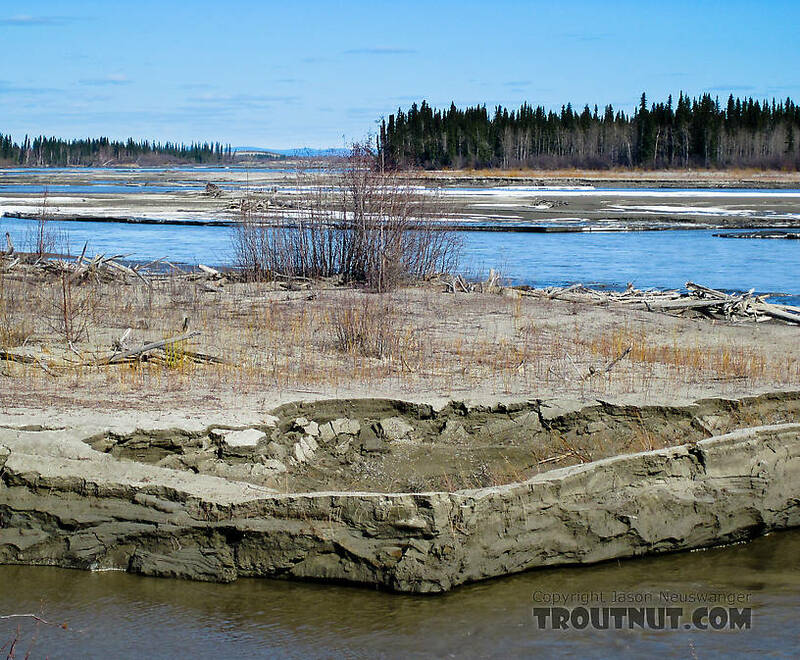 The river's channel, mostly over a mile wide, consists mostly of vast bars of dry gravel and glacial silt that's easily kicked up by the wind. 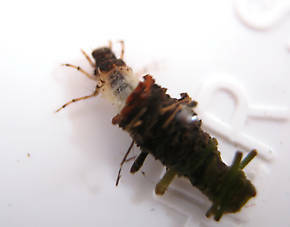 Lepidostoma podagrum (Little Brown Sedge) Little Brown Sedge Larva View 2 PicturesThe photo of the specimen cased is alive. 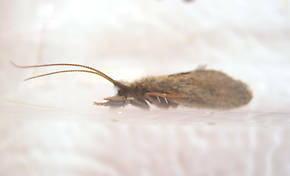 The photo of the uncased larva is the same specimen taken after it was preserved in its case. 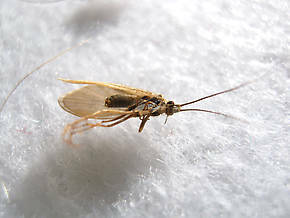 Unfortunately, there was a lot of pigment transfer making the specimen look olivaceous. In life it was grayish white as shown in the first photo. 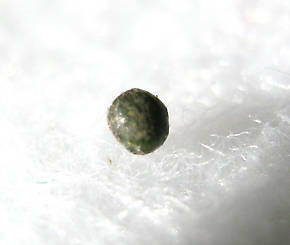 Lepidostoma podagrum (Little Brown Sedge) Little Brown Sedge Larva View 1 PicturesThis egg packet was dropped from the specimen with the severely foreshortened abdomen in the other photo series. It's amazing how much abdominal length is given up in this process. The egg packet looked black in the hand.